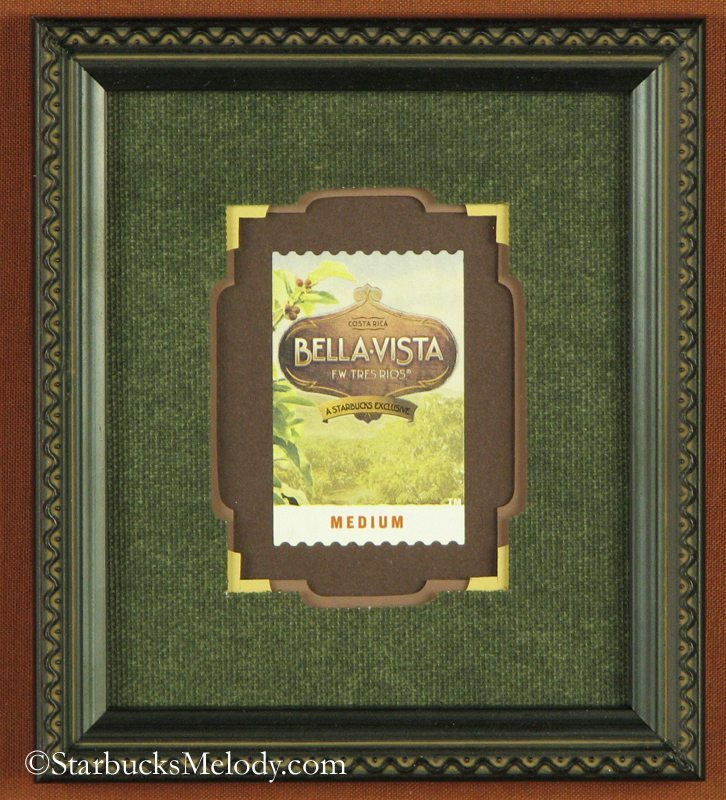 The classic Starbucks coffee stamp – A framed look. For nearly 25 years, the Starbucks coffee stamp has been part of the romance of the whole bean. Once upon a time, if you bought whole bean coffee, a barista scooped it out of the bins, and then put a coffee stamp on your bag (and dated the bag so you’d know to use it in seven days). By the mid-1990s, coffee started coming in one-pound FlavorLock™ packaging. When partners sold an amount of coffee less than a whole pound, again the coffee stamp would be used to label the bag for the customer (and hopefully the partner would still write the date on the bag). The coffee stamp is also used in coffee passports to signify that the barista has tasted that coffee. And, baristas used to hand out a few coffee stamps here and there to children in the stores, as a fun sticker to play with. Actually, the same is true with mats. After the mats have been cut to size, Molly is left with a number of much smaller scraps. 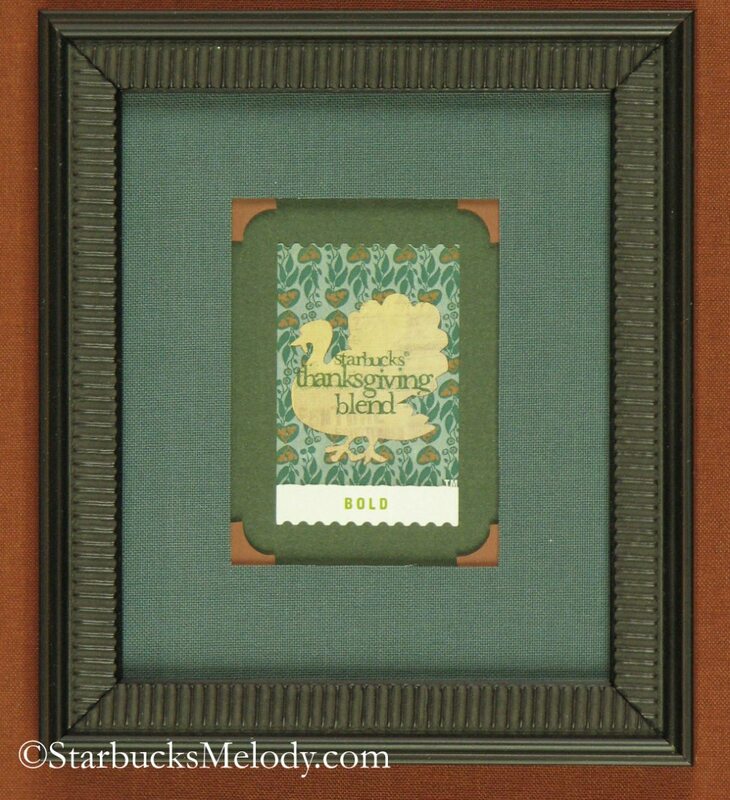 Using just the scraps she had around her business, she framed all the coffee stamps in this blog post. She does gorgeous work. 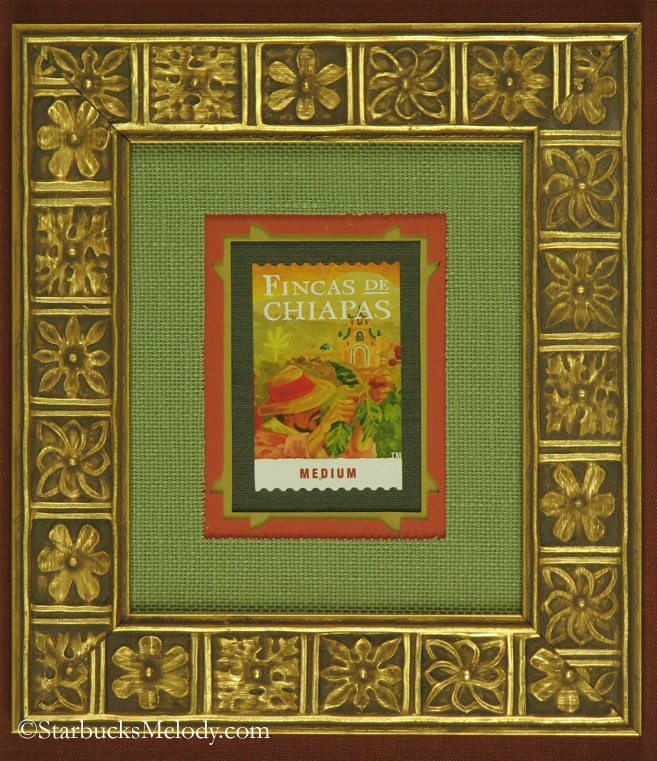 Each framed stamp uses Conservation Clear® picture framing glass. I hope you will like them as much as I do. 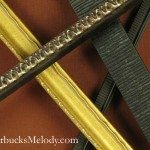 She has more coffee stamps to frame, but she is squeezing them in around larger projects with firm deadlines, so it may be a while before there is a sequel to this post. 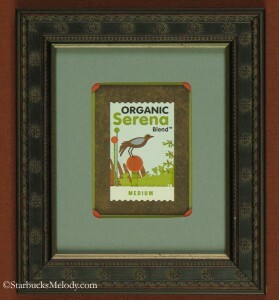 By the way, I recall the Organic Serena coffee very well. It was discontinued by Starbucks in 2008, shortly after the Clover was launched in downtown Seattle. It had a lively, palate-cleansing property to it, and it was really great off the Clover. these are beautifully done. I just noticed (for the 1st time) yesterday the new labels of BOLD for Verona…..etc, with a minimal picture at the bottom. Not so good to me. and yes, resembles SBC with their numbers. I guess they felt they had to “simplify”….God forbid we actauly learn about coffees with tastings etc, besides being “told”. uh-oh….forget to click off the BOLD…sorry. Wow, those are beautifully done! @Denise – Overall, I am totally disappointed with the new packaging. Too SBC-ish is right. A few of them look better (Pike Place actually has improved) but most of the new packages totally lack the romance of these stamps. They don’t feel as frame-worthy. @Pam – That would be very sweet! Did I email you my address? I am pretty sure I have a good address for you. @LatteRose @Amy – Glad you like them too. I can’t wait until she finishes framing the rest of the stamps that I gave her to frame. 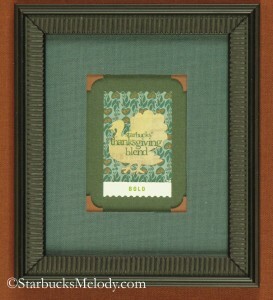 Have to add to comments that these framed stamps are just beautiful and thank you Molly and Melody. 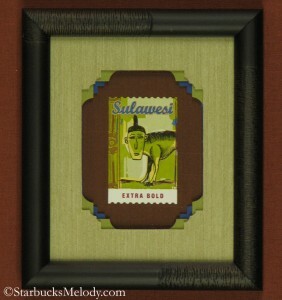 Actually thinking about it I would think these framed stamps would look so nice on the walls of a SB store. @Purple1 – I think that would be so beautiful. A wall of these at Starbucks would be very pretty! 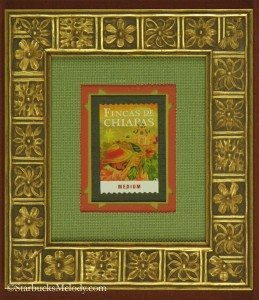 But actually, if you look at the wall hangings at a Starbucks, very few things are beautifully custom framed. Melody that is so so true. Today, I was noticing at my local SB the real need for them to update the wall designs and repair some worn wallpaper. I think there is truly something so nice to have these stamps on the wall of a SB store. I can just see such wonderful conversations created over these stamps. @Purple1 – Custom framing is actually pricey. 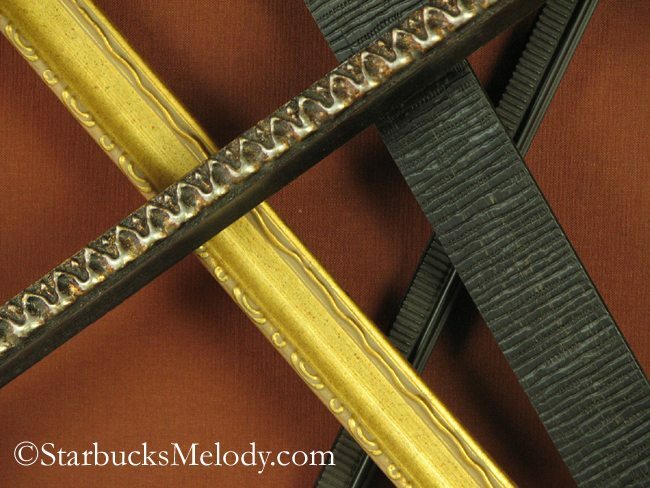 I mean I think it is well worth it – but for Starbucks, spending the money on custom framing probably isn’t what they want to do. But I bet they spend way more on a single chair. Well, I hope that a few Seattleites find their way to Molly’s business because of this. 😉 She is so sweet! 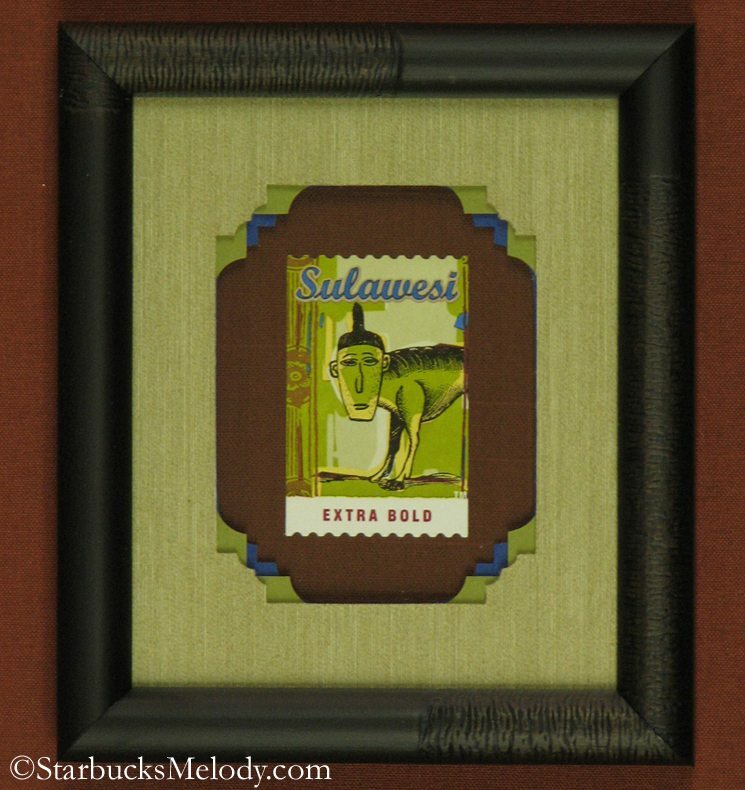 Beautiful coordination of stamp, mat, and frame. I have to agree with the dislike of new bags. When I first saw Espresso in it. I was excited that they may be adding another variation (I love Christmas Espresso). Anyway, I just don’t feel the homieness of original bags. The reason was explained to me from a partner people think Starbucks is too bold. The new packaging is supposed to make it easier for people to find a roast in their taste. I don’t drink Starbucks for the social implication or any other reason than I think they offer the best product. So I guess I’d drink it if it came in any style. As long as they keep striving to offer a geat product I’ll keep buying it. I just hope trying to aquire new customers won’t ostracize others. @Kienan – Welcome to the blog. Very well said. But I am pretty surprised that Starbucks can’t see that the imagination is gone from the new bags. They’re too sterile. They don’t make you want to grab them and daydream of coffee growing regions and just the whole romance of coffee. Oh by the way, if you haven’t already, please “like” the blog’s facebook page – if you already have, thanks! Those were plain yet striking, but also kept the stamp. Shortly after that, special design bags like casi and 40 mile, etc showed up and ultimately we got bags without stamps. I realize the stamps add to the cost, but they do make a difference. The bags have not been the same since they disappeared. I live in St.Petersburg which is near Tampa, Floriduh. So we don’t have really any of the homey feel you experience in other parts of the country. Namely the NE and NW. An example would be the lack of clover brewing systems which in result limits the special reserves in stoes. I actually did get the Ethiopian Harrar in one store that does a brisk business. To experiment with any flavors I must purchase them personally as I’m unfamiliar with any tastings in area other than at Sbux Christmas parties. The point I’m trying to make before I ramble on forever is that if Starbucks would allow people to sample blends to find one they like. Rather than making bags that look like they should be in a book titled “Coffee for Dummies”. There wouldn’t be a need to change that straight from the field feel. As you so aptly put it. As a follow up on the white bags I didn’t like them when they came out. I felt they took the romance away from what was the Starbucks coffee bag. I “get” what they were doing with the colored stripes (for regions) but I think that was too abstract for most customers. The new bold, blonde, etc would have been (and is) a better way to classify coffee. So while the classification has improved (from region to roast), I think the bags are still missing the mark. I do think they are an actual improvement from the last lot, but still miss the mark as all the romance is now gone. Molly, you do amazing work. I soooooo tire of the partners saying: well, most people (????????most???) thought Sbux was too BOLD so…bla bla bla. Those “most” people were not the ones who made Sbux what it became, they did not help “build” Sbux….known for its dark roast coffee, etc. I remember the old days of stamps, and the CUSTOMER coffee passports, etc. I think the partners are now trained on the history of PPR, etc. I have heard the same thing in stores. @deniser I finally went to Intelligentsia Silver Lake last week….boy, what a coffee centric place. I have to wonder what their locations make, as the 10 minute line went out the door and their prices are higher than Sbux…and my latte was much better. And there were five different pour overs being made for customers. I was kind of astonished…if I lived closer I would be camped out there! @karl dahl….. I agree about Intelligentsia. They really intend NOT to go the way of Sbux and give up the COFFEE emphasis. Not as dark roasted but very much careful atttention to drinks, MANUAL :))) shots. I very much like them. The closest one to me is way in the city so, too far for everyday….and, as I said, they don’t intend to put one on every corner! Glad you enjoyed it….. 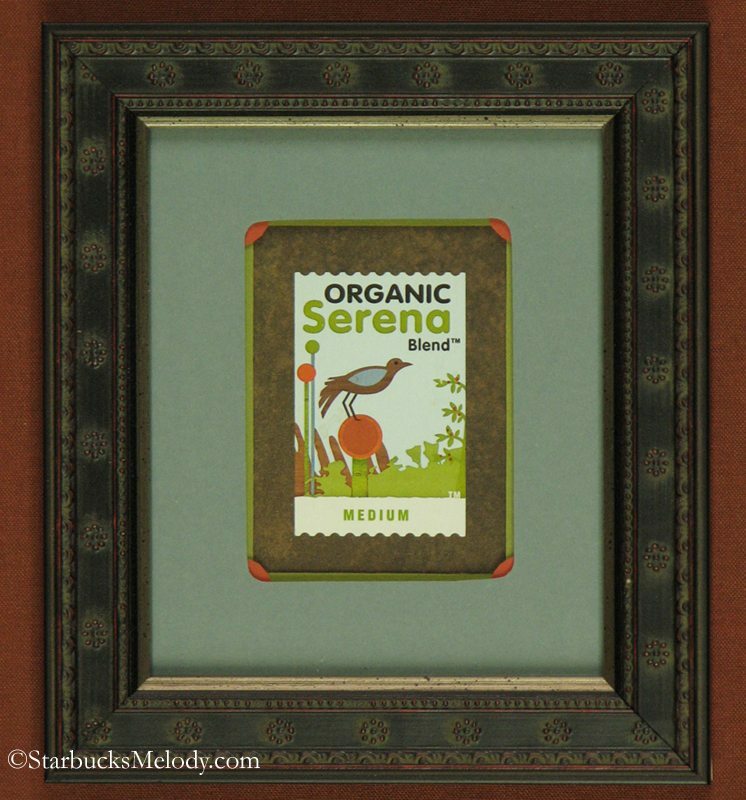 The Organic Serena Blend stamp reminded me of when I first started with Starbucks. It was discontinued not long after I came on board. Factoid – OSB was selected by customers to be renamed “New England Blend” some time ago and was briefly packaged as such until a trademark dispute with New England Coffee Company. @GreyGhostx – Totally didn’t know that Organic Serena Blend was ever called “New England Blend.” Great factoid! Thanks. mike, I have just ran across this post of the SB stamps, I am not sure if they are still being used as I see this post is 6 years old. I will stop by my local shop and inquire. I feel they will not know what I am asking as most of them are only college age students working next to their school. They may not have learned of any SB history. Thanks.